Please select a date of play to check availability on Quinta de Cima. This comparatively new course is considered of a Championship quality and it will give most golfers an enjoyable challenge. 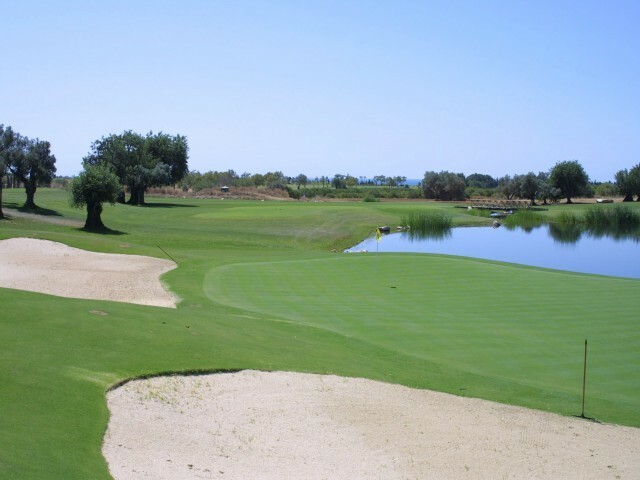 It has basically open fairways running over land dotted with almond trees with strategically placed bunkers and water hazards to take possession of any bad shots. The Quinta de Cima holes one and two quickly make any player realise the need for careful club selection combined combined with accuracy. The par 5 sixteenth hole and the challenging eighteenth are already noted for the problems they give the golfer. Coming from the United States, Portuguese golf was a little disappointing. This course was an easy walking course thus we got good exercise but none of the holes were that inspiring. We go there and no one was really prepared for us. We had to keep walking back and forth from the club house to the caddy house to pay for different items such as cart and water. There was no real starter thus we teed off on the wrong course and were moved to the right course after we teed off. We were then interrupted again by a ranger to see our receipts etc. It was most annoying. An excellent course with outstanding final finishing holes. Bunkers were well maintained and consistent and the greens were in good condition with few given putts. 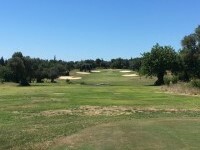 To post a review, score or a notice on Quinta de Cima page's or to connect with other Quinta de Cima golfers, please log in to your account or sign up using Google or Facebook.